right to the farm to hear farmers speak about how peanuts are grown and harvested. Then we toured the shelling plants where peanuts are shelled, blanched, stored and transported. The farmer pictured below is Glen Chase who spoke to us about his family farm (It was evident he loves what he does as it’s his 65th peanut harvest!). More than 85% of the peanuts consumed in Canada are grown in the United States. Peanuts are not actually a nut but a legume. Peanuts contain more protein than any nut. 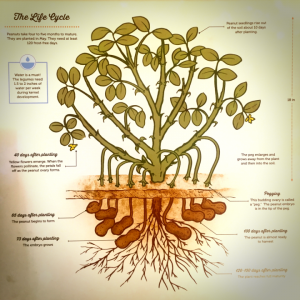 Peanuts are a sustainable crop because of their nitrogen-fixing properties that benefit the soil and other crops. No part of the peanut plant goes to waste. 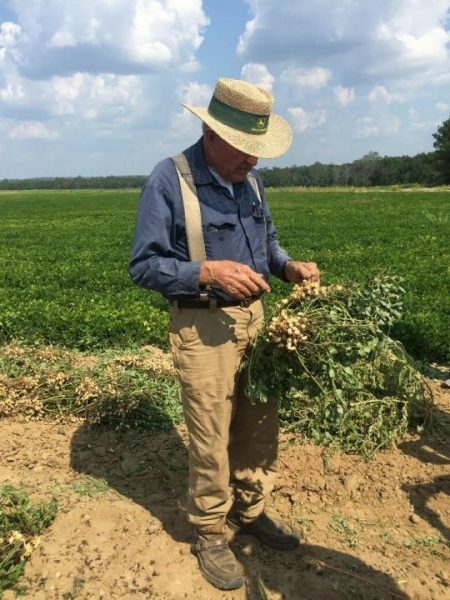 To enhance peanut yields, farmers rotate their crops with corn and/or cotton. The peanut is also called an earthnut, groundnut or goober pea. 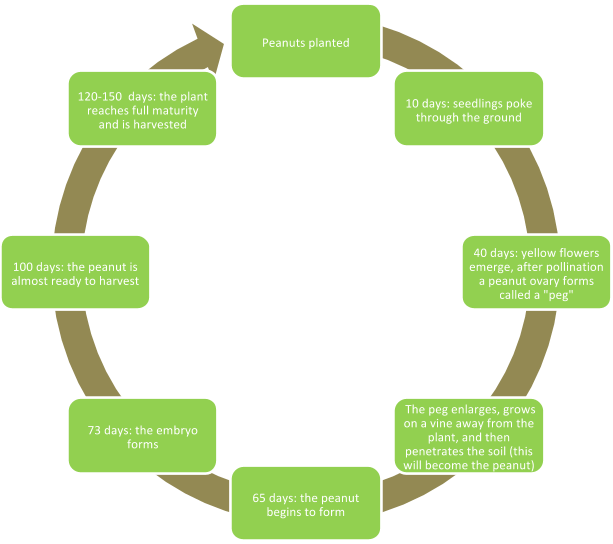 Peanuts are planted in May and take 4-5 months to mature. 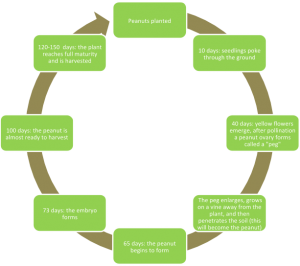 Peanuts require at least 120 days without frost and during kernel development they need 1.5-2 inches of water per week. Harvesting involves two parts: digging and combining. During the tour we were able to see a farmer “digging” and some of us took a ride inside! Digging: A digger loosens the soil and cuts the tap root under the ground. 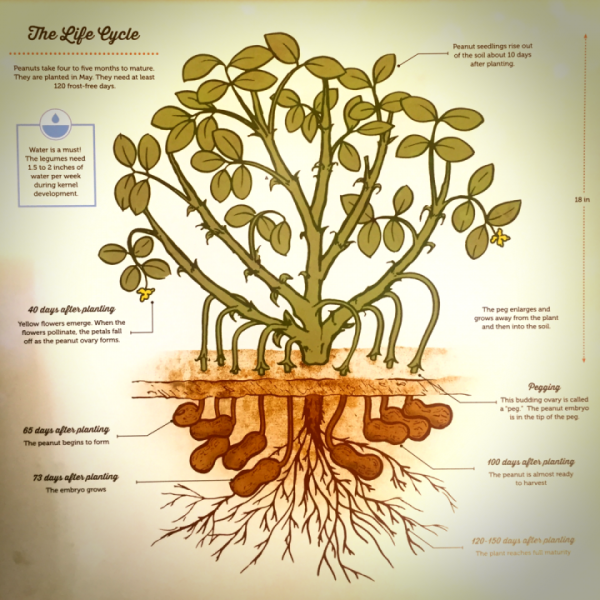 The plant is gently shaken to remove dirt and then inverted and placed back down for the peanuts to dry (2 or more days). Combining: The combine separates the peanuts from the plant. 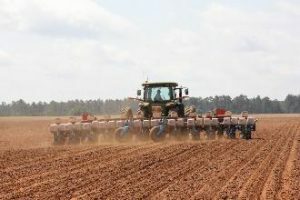 The vines are placed back in the field to improve the soil and the peanuts are taken to buying points or shelling plants for further drying and inspection. 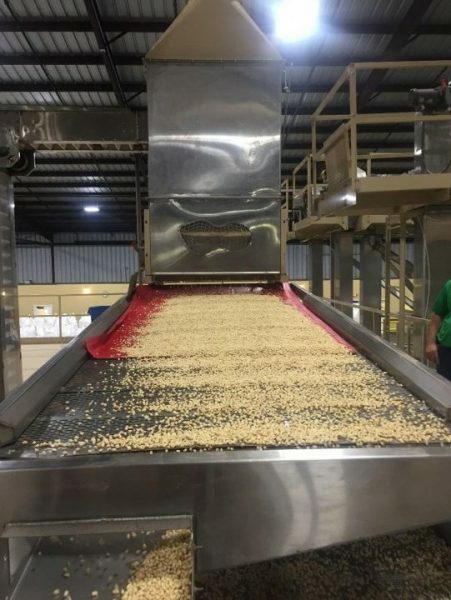 After drying, the peanuts are inspected and graded for quality and value. The peanuts are either cleaned for sale or shelled for further processing. If the peanuts are shelled, they are cleaned, de-hulled, sized and sorted. It was fascinating to see the high-speed technology used to sort and eliminate the defective kernels. 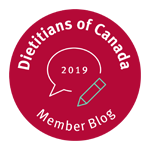 As Canadians we benefit from whole peanuts and many peanut products such as peanut oil, extract, flour, peanut butter as well as custom processed peanuts. If you eat peanut butter it is likely that you are eating “Runners”. “Runners” are the most common variety of peanut grown in the US. Most “Runners” are used for peanut butter. These were the variety that we saw grown in Georgia. I found that they have a softer, creamier texture. If you eat peanuts in a shell or from a can there’s a good chance you are eating “Virginias”. This variety has a crunchier texture. “Virginias are a common variety for most roasted in-shell peanuts or peanuts sold in cans/jars. If this post made you feel hungry to eat some peanuts, you aren’t alone! 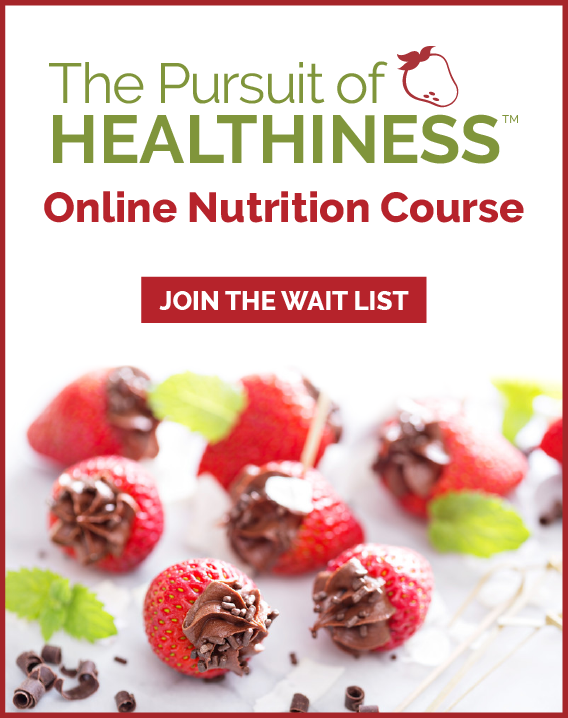 If you are looking for ways to incorporate peanuts or other legumes into your meals, we’d love to help. 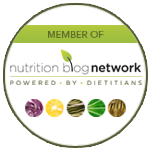 Contact us for help with nutritional counselling and support.